Protect your patio and enjoy the BBQ all year long with 97% of rain being blocked out by our hi-tech fabrics. Reduce glare and protect yourself from the afternoon sun with our UV-R fabrics protecting you all day long. 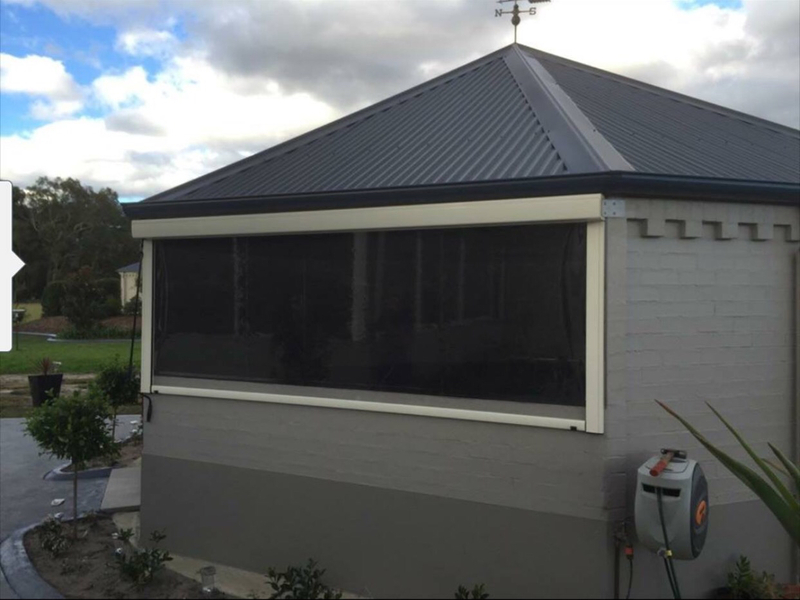 Our blinds are the safe choice when you have a BBQ or outdoor heater running, our self extinguishing blinds will give you peace of mind. With our sturdy construction and wind blocking fabrics, you can enjoy your patio, even on a windy day. Our fabrics and components are Lead, mercury and chromium free. Our odourless fabrics were designed with families in mind. Made for Australian people, by an Australian company. 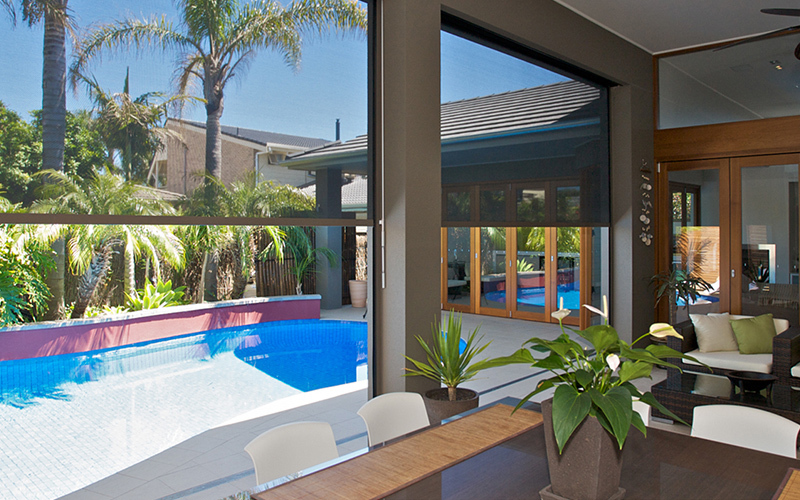 Our blinds adhere to all the relevant Australian standards. Due to Australia’s great weather, many people really enjoy having an outdoor living area such as a patio on their property. However’s the harsh wind and sun in Australia can wreck havoc on your ability to enjoy and entertain outdoors and completely ruin your fun evening or afternoon outside. 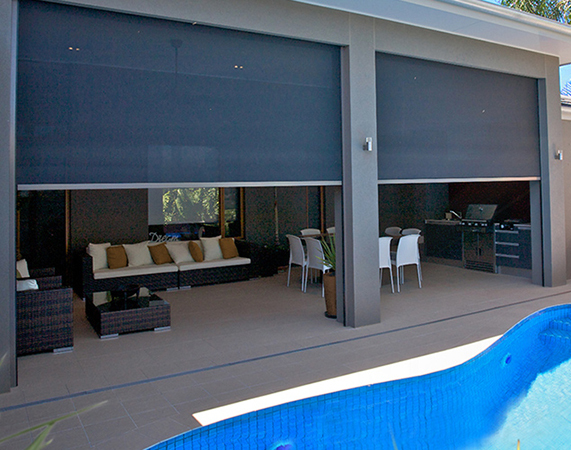 Fortunately, Design Outdoor Blinds Sydney has a great solution for you. 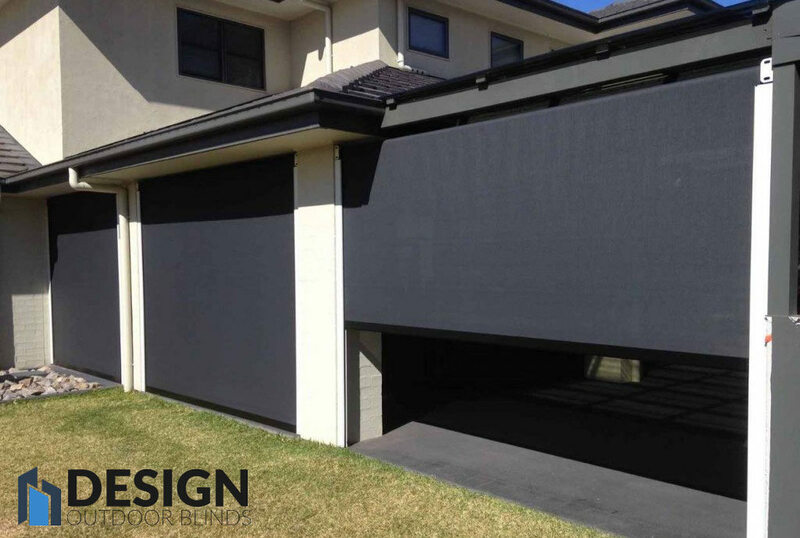 We have various kinds of blinds here at Design Outdoor Blinds for suiting any budget and style that will help to keep you and all of your guests shaded from the sun rays. 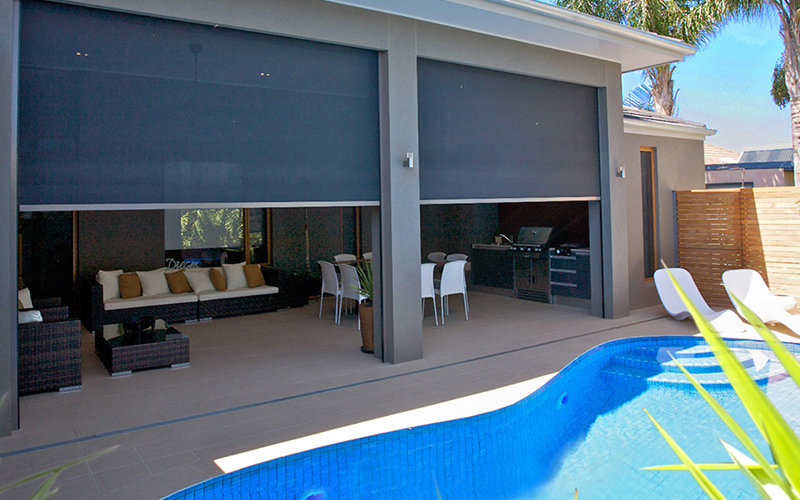 Our outdoor blinds that are available also block out wind, and offer privacy and a cool, shady area. Based on all our years of experience we are very aware of the fact that customers are looking for high quality products at prices they can afford. That is precisely what you will get whenever you buy from DESIGN. 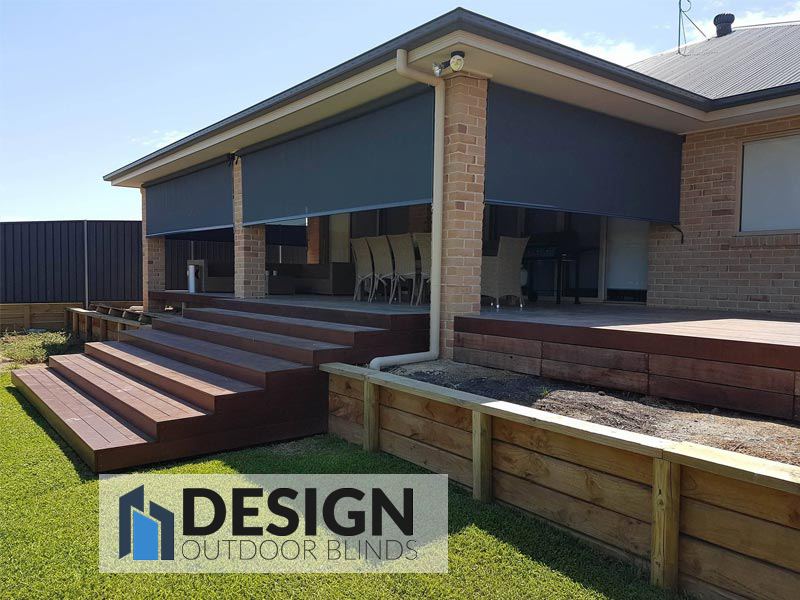 With so many designs, styles and colours available, we are very confident that we will have just what you need to equip your outdoor living area with the ideal set of blinds. 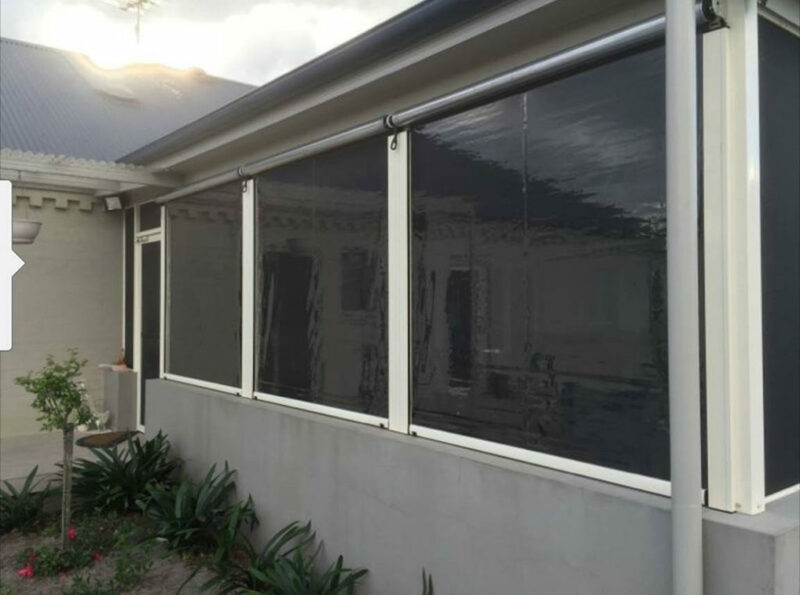 From cafe style blinds for blocking the rain and wind to shade blinds for effectively blocking the sun, you will find an incredible selection of quality products made in Australia. At our industry leading company, you can expect that each item you buy from Design will be manufactured following the highest standards and made out of the finest quality materials. All of our outdoor blinds are custom made. We are a family own and run company, so you can have total confidence knowing that we are very happy to provide you with the highest level of customer service imaginable. To find out more about our company’s outdoor blinds browse through our website and give us a call today. When you aren’t using an area, if you close you blinds it can help to significantly reduce the amounts of insects, debris and dust that get into your outdoor area. This makes it a lot more enjoyable to spend time out there and also helps to reduce how much dusting and cleaning needs to be done. The combination of rain and wind can result in your patio getting completely soaked, and any toys, BBQ and furniture out there getting wet. 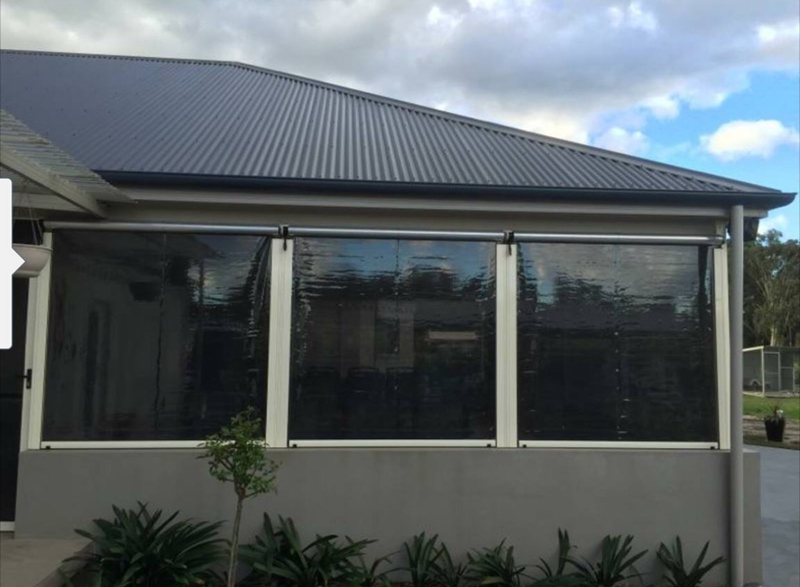 Having Cafe Blinds can help to reduce how much water enters into your pergola area, meaning your belongings, furniture and decking will be protected against water damage. 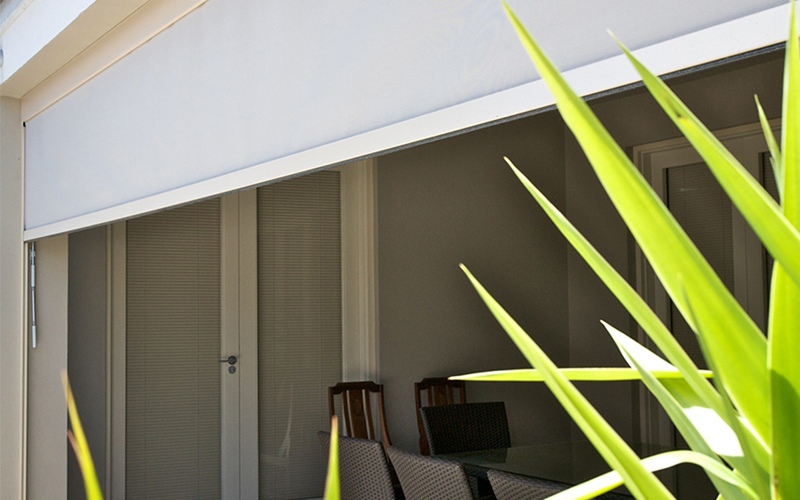 If you have a low fence-line or a spa and want to have some added privacy, the ideal solution is cafe blinds. 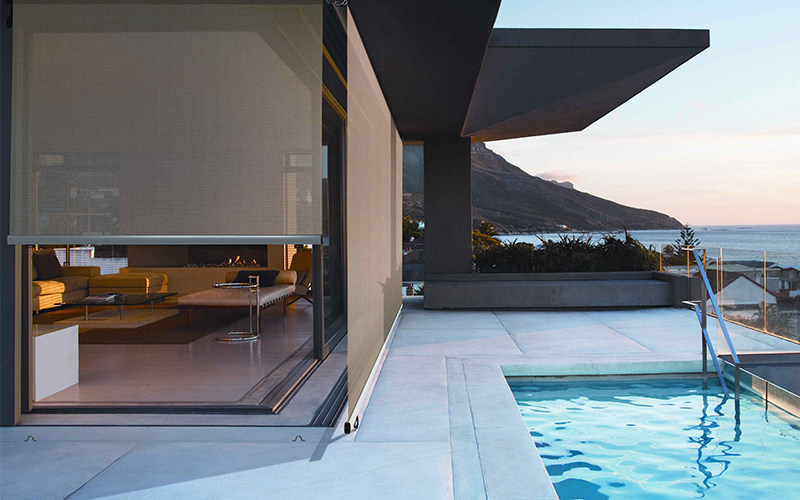 Our blinds all have one-way outward views, so that anyone who is on the other side will not be able to see in, meaning you can have complete privacy while still enjoying the view. When outdoor blinds are added to your alfresco area, it’s just like adding on an extra room to your house, so the space can be used throughout the entire year, during the heat, rain and cold. That added layer of protection means you can relax and dine comfortably all year long. Some of the great Australian pass times include sitting out on your patio in the summer having a drink or cooking a BBQ. However, there are times during the afternoon or morning when the sun can be quite annoying, which can make it nearly unbearable for you to sit out on your patio, pergola or deck. Our blinds offer SPF20+ sun protection and reduce glare, so that you can completely enjoy your outdoor area at any time of day. Since your blinds are easy to move up and down, you can control how much light gets into your outdoor area throughout the course of the day, depending on whatever activities you happen to be doing, whether it is reading a book or barbecuing. We service all areas in Sydney. We will conduct a free measurement of your patio area and make recommendations as to how your patio shades should be installed. We can also show you a sample of the fabrics shown above. We will give you a competitive quote, if you’re happy to proceed we will then arrange your custom blinds to be made and install them.